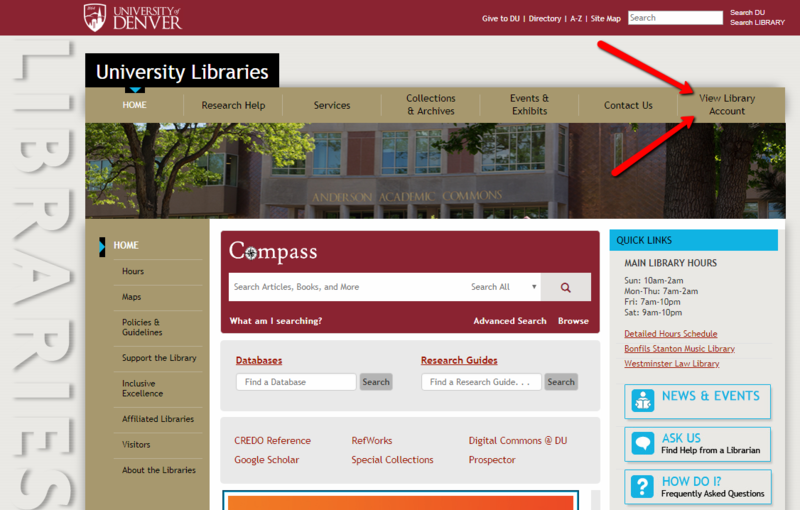 Compass is a search tool that provides a broad search of the University Libraries' collection. 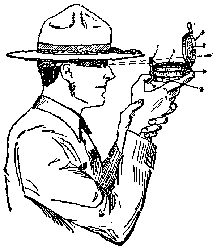 By using search techniques and filters, you can narrow your search to quickly find the resources you're looking for. Search All: This default search includes all catalog items, journal articles, and e-books to provide a broad search of the items in our physical and digital collections. Catalog: Use the drop down menu to select catalog and search titles of physical and electronic resources (books, DVDs, and more). (Tip: This catalog search does not search within databases or journals, so use the Articles + drop down instead). Articles +: Search electronic content within our electronic database and journal subscriptions (journals, articles, and other electronic resources). Course Reserves: Search physical items that have been set aside for a specific class. When should I use Compass? 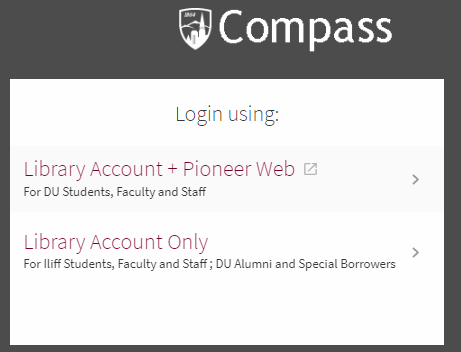 Step 1: Click on "View Library Account"
DU Students, Faculty and Staff will select the first option "Library Account + Pioneer Web" and login using your DUID and PioneerWeb password. Iliff Students, Faculty and Staff and DU Alumni and Special Borrowers will select the second option "Library Account Only" and login using your given username and password. Loans: This allows you to see your outstanding loans. Saved Searches (Push Pin): Use the pin feature to view your saved items. To add a search to this list, click on the pin located in the options bar for a particular article, book or other item. Requests: This tab lets you view items you've requested through the catalog.